Wow. 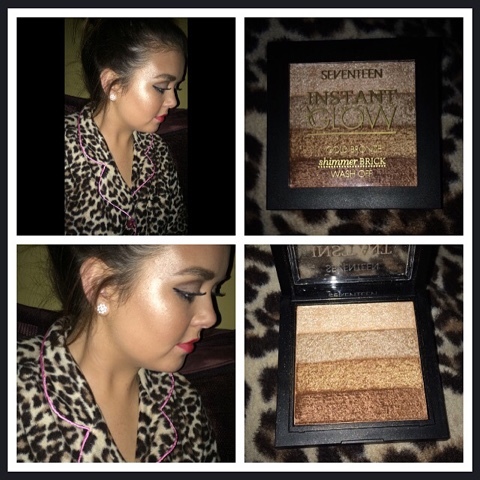 This Seventeen gold-bronze shimmer brick is just amazing! When I applied it, I couldn't believe how little of it I had to use to get the result that I wanted. My cheekbones were immediately glowing! I also applied some to my brow arch, nose and cupid's bow as a highlighter. You can also achieve your desired "strobing" look with this shimmer brick as it has four shades for you to create your desired look with. Strobing is a new dewy look created by using a highlighter. This is one product that I'll never be without! Buy yours for €6.29 in Boots.